Every year, there’s one product that stuns the world with how innovative it is. This year, I feel that’s going to be the first smartphone with a foldable display. We already have confirmation that Samsung is working on a foldable smartphone, which may be announced at Samsung Unpacked on February 20th alongside the Galaxy S10. However, Samsung only showed us a brief glimpse of the device at their annual developer conference. At the event, the device was enclosed in a protective casing to mask its design. Now, however, Samsung Vietnam posted a teaser video for the upcoming Samsung Unpacked event on their YouTube channel. 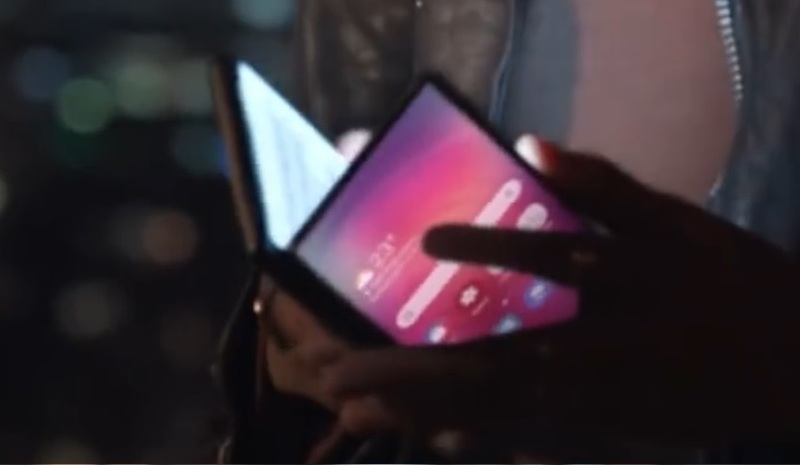 In the (now deleted) video, the foldable smartphone gets shown off. The video, embedded below, shows off different product concepts that Samsung might release. The most relevant product that’s shown is the foldable smartphone. In this video, we get a clearer view of the foldable smartphone, though unfortunately, we can’t guarantee the video reflects the final design of the device since marketing videos tend to touch up the product on display. Still, this should be pretty close to what we can expect. 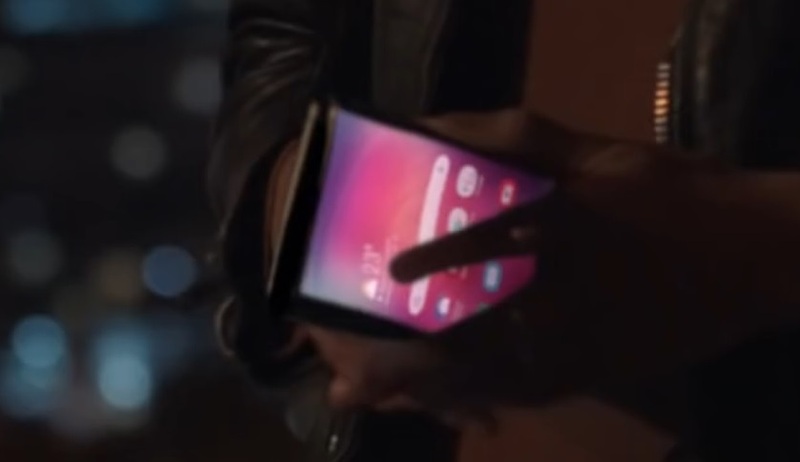 The device we see in the teaser has a foldable display inside and a cover display outside. Samsung has confirmed the front screen of the release model will only be a small part of the display—about two thirds of it. 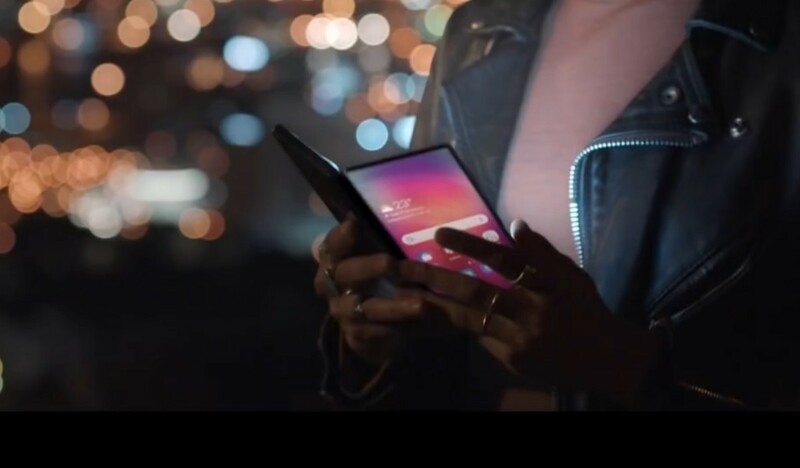 The way the woman in the advertisement actually uses and looks at the device shows the potential usefulness of the folding display. Samsung isn’t the only company working on a smartphone with a foldable display. Both OPPO and Huawei have announced they are working on such a device, while Xiaomi has gone as far as teasing an early prototype of their own model. Thanks to Nochlab1 and Chickenbone420 of the SamCentral Discord for sending us a copy of the video.